Rising star Alasdair Prott hopes to finish the year strongly and cap off an impressive couple of months with another domestic title. The 17-year-old from Inverness made the step up to Under-19 level earlier this year and has not disappointed. In 2017, he became the first ever Scot to reach a Dunlop British Junior Championships (BJC) BU17 final as he claimed an historic silver medal. 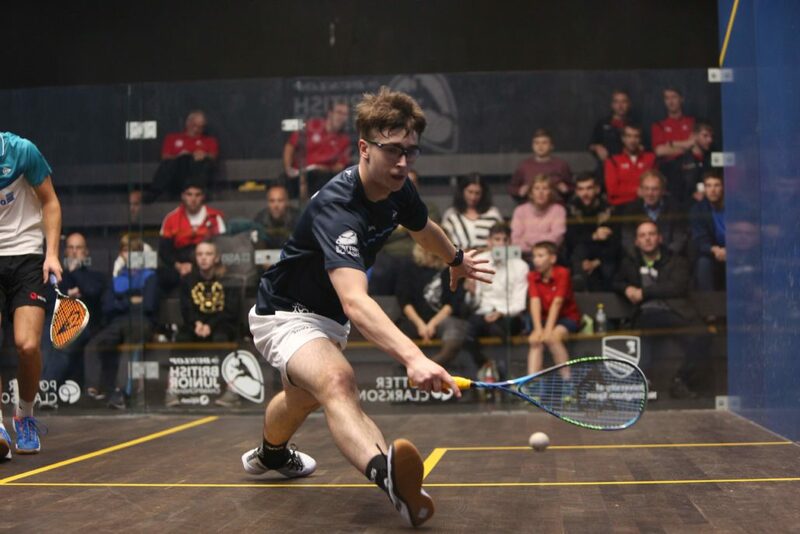 Last month, in his first year competing in the BU19 BJC event held in Nottingham he secured a bronze medal, losing to eventual winner Sam Buckley from Ireland in the semi-finals. A week later, he won another bronze medal at the Belgium Junior Open in Brussels, beating defending champion and no.2 ranked U19 European Ondrej Vorlicek (Czech Republic) in a 3/4 play-off. 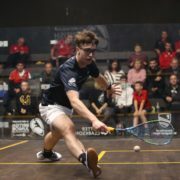 Prott now hopes to continue this good form at a PSA event in Carlisle later this month before he aims for a fourth JC Lindsay Scottish Junior Open title in December (Friday Dec 28-Sunday Dec 30). “The Scottish Junior Open is one I am particularly looking forward to,” he said. “It’s a once a year opportunity for a lot of quality juniors from around the world to come to Scotland and compete at some really good venues ahead of the British Junior Open. “Having the exposure to that kind of talent is great for all us young Scots. “It’s always a great atmosphere at Edinburgh Sports Club and having it jointly staged at Oriam this year where we train will be fantastic. The glass court at Oriam should be a great spectacle and both venues will be packed. He continued: “The Carlisle Squash Club PSA Satellite tournament in ten days time should be good preparation and a learning experience for me. “There will be some very good senior players competing who I should be aiming to beat in the next couple of years. “These PSA events are about moulding myself into a more mature player while I am still at U19 level so that I’m better prepared when I turn senior in a couple of years. 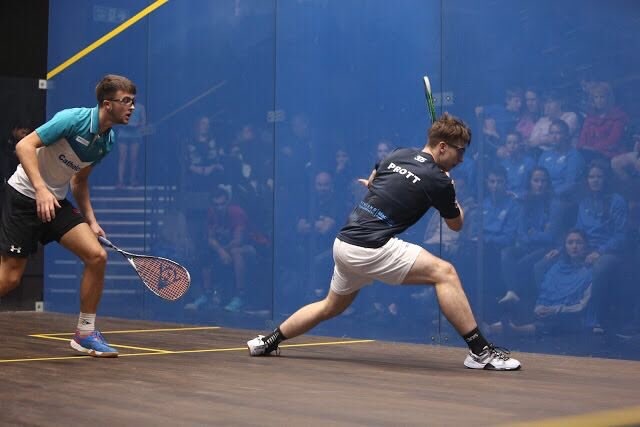 Reflecting on his recent bronze medal brace in Nottingham and Brussels he added: “I was really happy with my performance at the British Championships, especially in the semi-final when I played some good squash taking a game off the eventual winner. “It was a quick turnaround after that heading to Belgium and to get the win against a top ranked player like Ondrej Vorlicek was pleasing. “I’ve been working hard on managing my workload so that I have energy towards the end of tournaments and I felt in really good shape during that match. The 2018 JC Lindsay Scottish Junior Open (Friday, December 28- Sunday, December 30) is being held at Edinburgh Sports Club and Oriam, Scotland’s Sports Performance Centre. 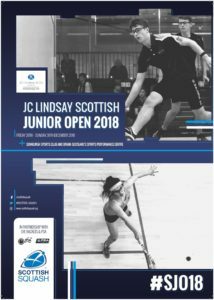 The deadline for entry to the 2018 JC Lindsay Scottish Junior Open is Friday, November 16. To enter, click here. Spectators are welcome at both venues and admission is free for all. We are grateful to official event sponsor JC Lindsay and key partner Eye Rackets UK and the Professional Squash Association.